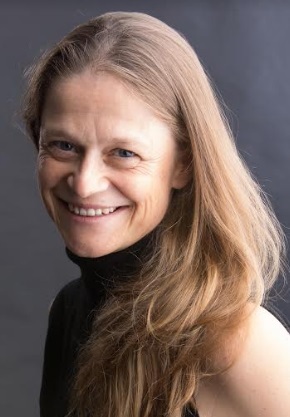 Laetitia Gazel Anthoine is the founder and CEO of Connecthings, one of the leading smart city and beacon tech developers. Laetitia founded Connecthings in 2007, and in the past decade has set up smart city networks in over 60 cities across Europe and South America, including pioneer smart cities like Barcelona, Madrid, Paris, Nice, and Milan. Aside from cities, Connecthings also works with international airports and commercial centers to help connect travelers and visitors and provide real-time, meaningful data based on their location, preferences, needs, etc. The company is in the works of launching several programs in the US to help them catch up with the smart cities of Europe and Asia. Laetitia is very well accomplished and has spoken at several high priority tech events (TechWeek NYC, Mobile World Congress Barcelona), and has had her work featured in numerous publications. She would be able to discuss the keys to her success as a woman in tech and provide some insight into the smart city tech industry. I have been involved in the telecommunications industry for much of my career, so I’ve always had a pulse on what was happening in the industry and how it was affecting business and daily life. However, in 2007, Apple launched the iPhone, and the entire role of mobile devices and their impact on our lives changed forever. People were completely mobile and were more engaged with digital world than ever before. Combining this new found technology with the then-recent success of Second Life, the popular service on the internet to create our virtual lives, I came to the realization that the future would need to see the connection between the real and digital world and decided to create that link between the two through smartphone and internet connectivity. The digital revolution has ushered in a new age of city growth and transformation. Due to technological advancements in information and communication technology (ICT), cities can now meet the challenges of welcoming new inhabitants as their population continues to grow. City growth was happening well before the advent of smart cities, but due to the recent technology, they will be able to grow and manage their cities at much more rapid and efficient rate. The increased computing capacity of the smartphone led to the creation of the sharing economy, where people can connect and share resources and services to make life simpler and more economical. This has led to new opportunities and employment for people that never used to exist. Smart cities, which are now proliferating public Wifi, will see an increase in the use and efficiency of sharing services, from Uber and Lyft, to grocery delivery and repair work, and will undoubtedly see an economic shift in labor. While an emphasis on the sharing economy will continue to grow, connected cities are also promoting the use and growth of automated vehicles, and recreating the car-sharing model where the car itself becomes a service more than an asset. This automation will apply to public transportation and promote further growth in cities as it is less expensive and will help to improve the quality of life. As cities become smarter, their roles will begin to change and grow. They will always be concerned with promoting better living for their citizens, but the cities will now be tasked with creating the conditions and agile infrastructures to welcome new services that the ICT are offering to improve and continue their smart city development. All major cities have invested in mass transit, whether it be metro, light rail, bus, or trolley, and have to continue to do so as their cities grow. This emphasis on mass transit creates an interesting foothold for smart cities, as an improved and more intelligent transit system will help move city growth and smart initiatives forward. Municipal officials worldwide are coming to the realization that developing smart transit is the key to smart city development, and are already leveraging advances in mobile, communications, and Internet of Things (IoT) technologies to build the transit systems of the future and to deliver services more efficiently and improve the overall quality of life for their residents. I founded Connecthings in 2007 with the powerful vision that smartphones will ultimately connect the physical world with the digital world. Connecthings operates beacon networks turning urban, passive physical assets like bus stops into smart objects able to trigger and interact with mobile applications. The smart objects in the city become a hub and act as a marketplace for each mobile application that wants to be triggered in the proximity of the smart object to enhance their audience, better know their user’s movement in the city, and generate new revenue. Connecthings is in contact with cities, commercial centers and airports across Europe, the U.S., and South America to help bring smart city innovation and beacon technology to more locations all over the world. Aside from smart city development, Connecthings is currently working on the evolution of transportation, and how it will impact both individual commuters and public transit. We are looking to change the way people travel, whether it be prescheduled trips or instant decision driving, we are looking to incorporate technology that can offer suggestions to the user that utilize contextual aspects such as location, place, time, weather, etc., to better manage their time traveling. It’s all very exciting! Connecthings’ success is all about creating beneficial partnerships with the cities we work with. We have been fortunate enough to work with very open-minded cities that understand the need for smart city development and willing to provide us the support we need to make it happen. However, we know that this support is not simply provided to us, but earned through our decade of expertise in the subject and our in-depth knowledge of the cities we seek to work with. The smart city market is a complex one, but we know that our knowledge and experiences are our and city partners’ greatest asset in helping achieve success. Additionally, Connecthings also works with several big companies in major commercial partnerships. This is crucial, as smart city development cannot happen in most cities by itself, but must rely on public-private partnerships to provide the funding necessary make the ideas become a reality. I’d have to say the most difficult moment of the business was to convince the first city to sign on with us. Like most new and innovative technology, it can be hard to get others to understand the value of your tech, or in our case the vision of a new form of interaction between city objects and citizens. Aside from selling the idea, I learned a lot about receiving city approval for municipal projects, the hoops that you need to jump through, and the need for exploring different ways to sell an idea. Learning the political part of sales was crucial for my expanding the business, and learning the ability to adapt quickly to the different, political, needs of my audience was a priceless experience. Our customers are mobile app owners that operate throughout Europe and the Americas. These owners could be anything from transit authorities and airports, to established commercial brands. The ideal experience is for their users to have unfettered access to Connecthings' global network throughout cities, where their mobile application will be triggered by local proximity beacons, and receive data based on the physical context of where their customer are. This information provides them the opportunity to generate new revenue and customer satisfaction through a well-tailored service to their users. We inspire our partners, employees, and customers by highlighting the values of Connecthings based on the day-to-day life improvement and innovative experience in the cities. Like all major technology developers, working on the devices and software of the future is a very exciting thing, and often serves as the best motivation to others to invest their time and capital. Be focused, passionate and cost-effective as working with city make a lot of sense but takes a lot of time. The important thing it is to not get discouraged and leverage your partnerships with the private sector, and even other technology providers to find ingenious solutions to problems you may be facing.